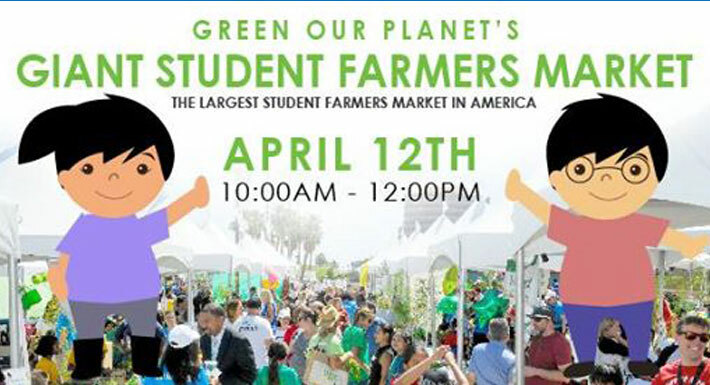 Green our Planet, the Clark County School District and Bank of Nevada will present the Biannual Student Farmers Market April 12, 2019 from 10:00 a.m. to 12:00 p.m. at Downtown Summerlin in Las Vegas. Billed as the largest student market in the U.S., the free event will feature approximately 500 students in Southern Nevada. Students run the market themselves, selling fruits and vegetables that are grown in school gardens and handmade crafts. The market is held every fall and spring.